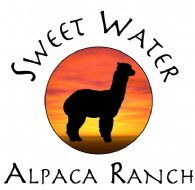 Early morning yesterday I got up and looked out over the aplaca enclosure and saw a little black cria walking around. I ran out and sure enough there was a little girl already dry and on her legs. She must have been born around 4 or 5 o'clock in the morning. The placenta was already there. Mom was obviously Mariana, a female that is bording here. 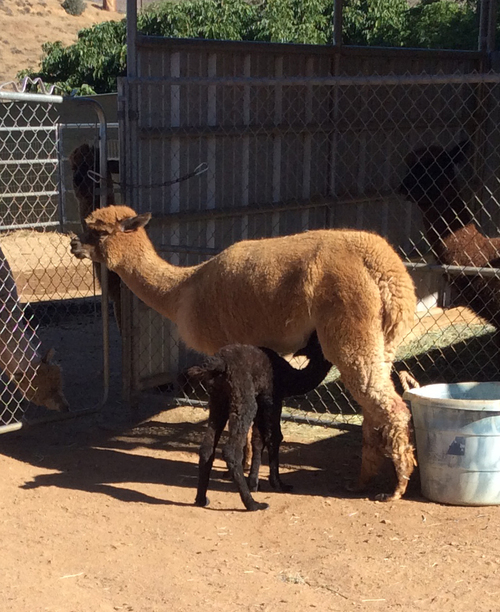 I did the normal cria care and gave the cria a boost of bottle milk as I didn't think she had nursed (the maiden mom was not quite sure how to behave yet), I went to give my other animals (and myself) their morning feed. 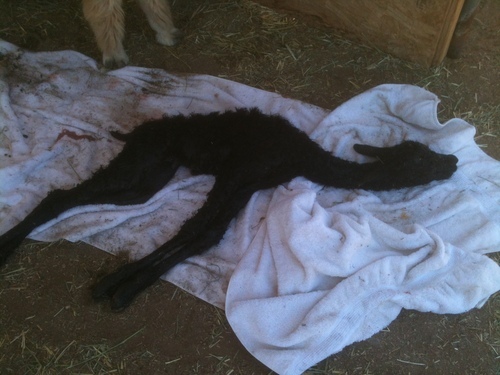 I came back an hour later to the birthing pen and noticed my girl Rhapsody was showing signs of labour. She had decided, just like she did 2 years ago, that this was a good day to give birth! 15 minutes later a beautiful boy was born. Rhapsody is a wonderful mom and very attentive to his needs and making sure the other females are keeping at a safe distance. 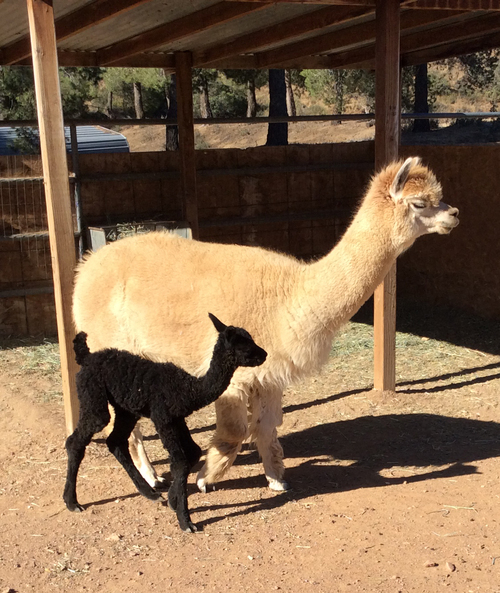 Both cria are doing really well. They are both from my black male, Perfect Storm. 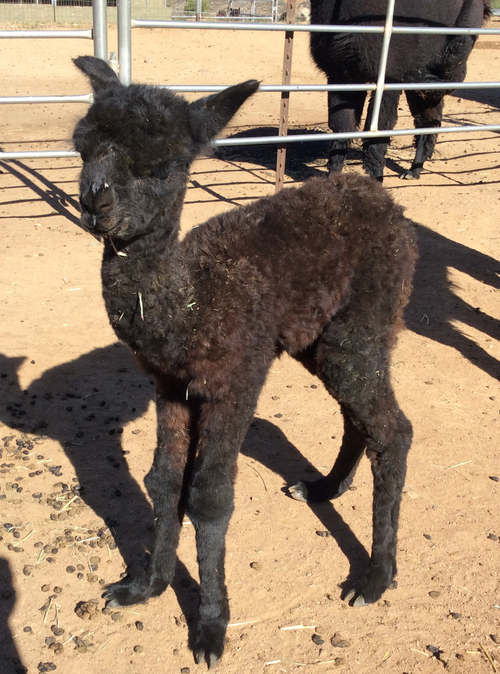 He has thrown all black cria!